The non-intuitively named Brother MFC-L2740DW multifunction black and white laser printer is ideal for that small office you have, you know the one. You’ve got all of a closet to put your desk, chair, Mac, printer, and maybe a small Bluetooth speaker, if you’re lucky. 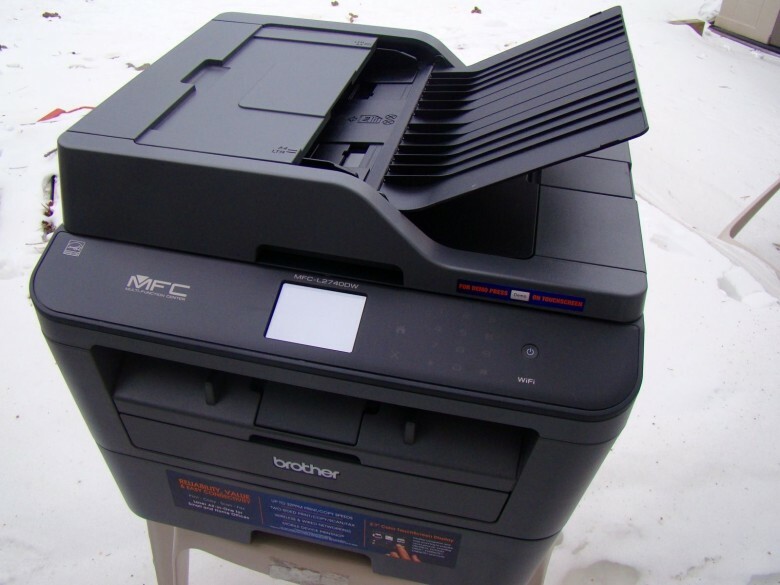 What you need is a multifunction device that can get your documents scanned, printed and (if you’re still living in the 1990s) faxed without taking up a lot of space. I brought this rectangular box of printing joy into my tiny home office, plugged it into the wall, added it to my Airport Wi-Fi network, and was printing from it within 10 minutes of taking it out of the box. The Brother MFC-L2740DW really has it all: a 35-sheet feed scanner that scans both sides of documents at the same time, a 250-sheet paper tray (and a single sheet manual feed), and wireless as well as USB and network printing. You can also scan to a PC or email your scanned documents right from the unit itself; a handy thing to have if you’re pressed for time. It prints pretty darn fast (Brother says 30 pages per minute), doesn’t take up too much space, and prints better-than-inkjet quality documents. It’s easily used as a fax machine (ugh) and a copier, and won’t break the bank either to buy or keep stocked with toner. It may not be the most pretty of printing boxes, but unless you’re a total design nerd, that should be just fine. For $250 on Amazon, you can get this bad boy to pretty much cover all your office needs. The simple button layout on the front is discreet–even the telephone buttons to Fax stuff–with a matte finish and a nice little touchscreen to manage all the other functions. Setup is super simple if you have a Wi-Fi network; simply choose the network you want to connect via, tap in the password via the printer’s touchscreen, and you’re set. The wireless printing system here has no peer–I’ve used no less than four different Wi-Fi and AirPrint printers in the last year, and this is the first one that reliably wakes from sleep and prints from any Mac or Windows PC I can throw at it. It doesn’t do color or photos or any of that nonsense, so if you’re looking for more than a monochrome printer, you’ll need to look elsewhere. Scanning and copying is equally simple, and while I didn’t test out the fax capability (seriously, who uses fax any more), emailing scanned documents is pretty simple, too, though typing in email addresses on the small touchscreen is a chump’s game–far easier to get the document to your Mac and email from there. There’s also a way to send scanned stuff to OneNote, OneDrive, Box, Google Drive, Evernote, Dropbox, Facebook, and more, but you need to go through Brother’s website to do so, which seems like kind of a drag. Useful, though, if you have need of that feature. 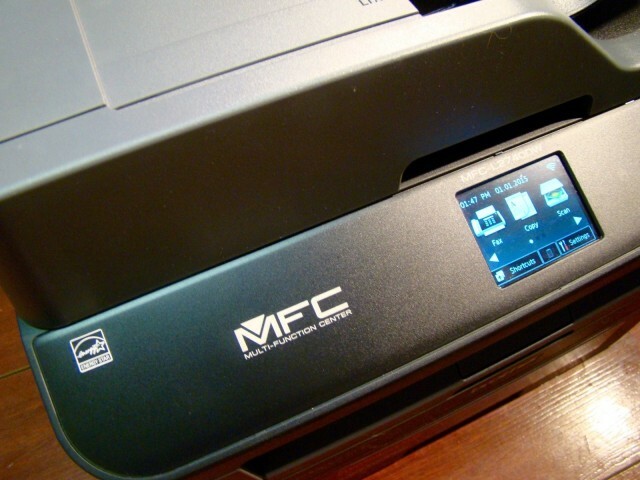 Bottom line, if you need an inexpensive, fast, smallish multifunction black & white printer for your home or other small office, the Brother MFC-L2740DW will fit the bill nicely. You can grab it for $250 on Amazon, while the high-yield 2600-page toner drums can be found for $50 there, too.